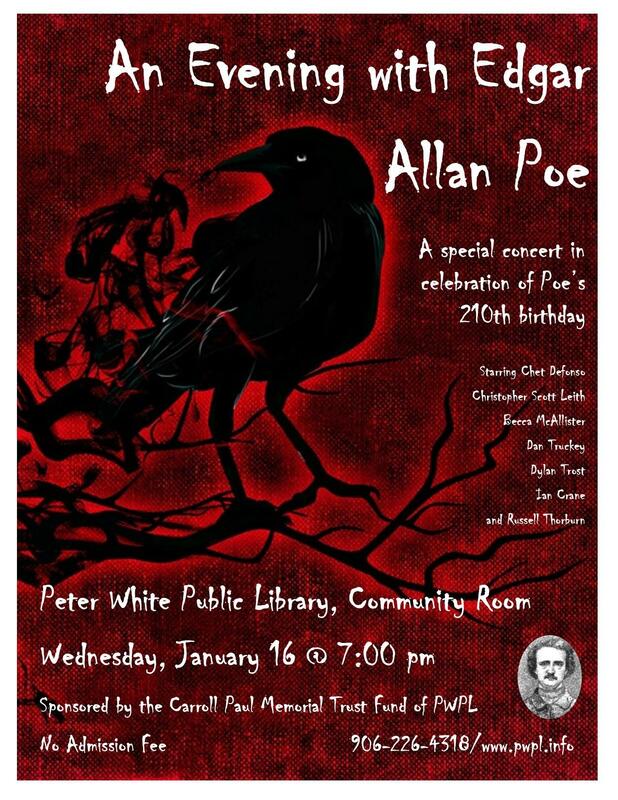 "An Evening with Edgar Allan Poe" is a special concert in celebration of Poe's 210th birthday, happening Wed. January 16th at 7pm. MARQUETTE, MI-- Peter White Public Library is partnering with the TV6 Canathon to help feed a hungry neighbor by serving as a collection point for food items. Nonperishable food for local pantries will be collected at the library from November 12 through December 5. MARQUETTE, MI-- Peter White Public Library in Marquette is hoping to stave off potential cuts through ballot proposals this November.